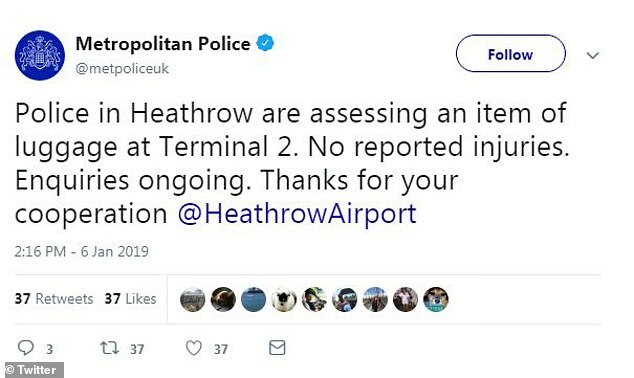 Armed police were investigating a suspicious package at London’s Heathrow Airport after an item was found in Terminal 2 this afternoon. 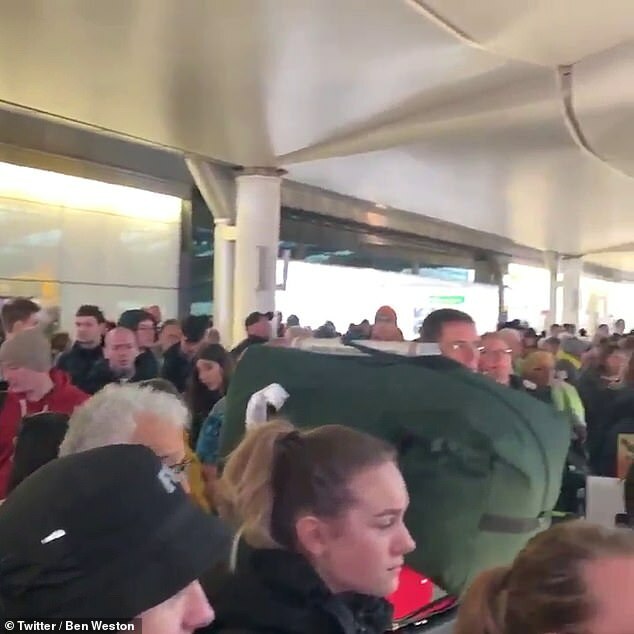 Officers stopped large crowds entering a security screening area after disruption began at around 1.30pm. Police probed the package as people grew ‘restless’ at the scene. 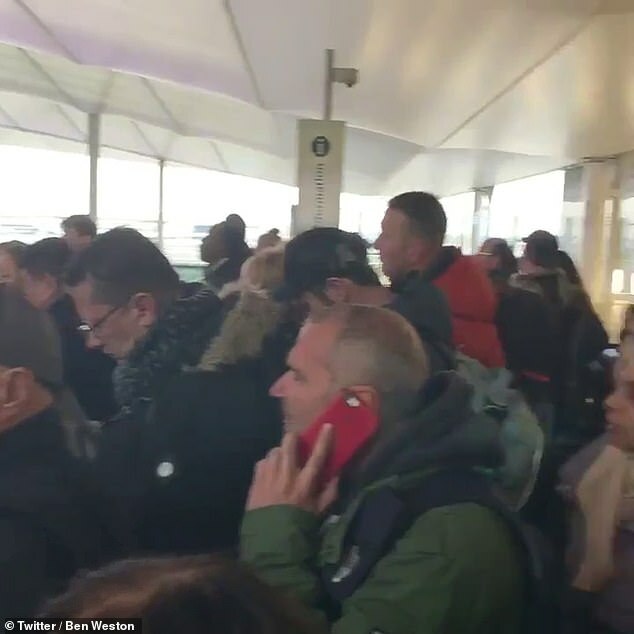 The force tweeted that the assessment is now complete and the terminal will be reopening. The security lanes have now reopened and the airport is not yet aware of any delays caused by the incident. 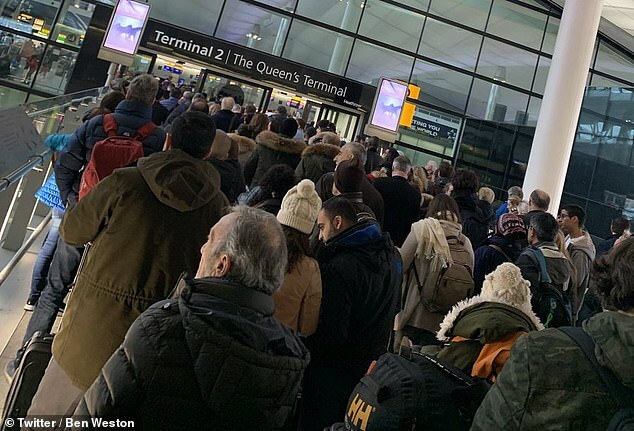 A spokeswoman for the airport said: ‘Earlier today, we worked with the Met police to respond to an incident in Terminal 2 which temporarily affected security processing lanes. ‘Our security lanes are now open and passengers are being processed through as normal.